The first few months of the year can be a little bit slow at the cinema, but in 2017 film fans will have something to look forward to. “Logan” is due out in March as the finale to Hugh Jackman’s seventeen-year run playing Wolverine and expectations are already high. 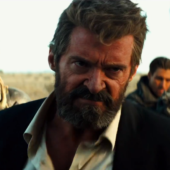 The trailer got the whole internet excited, and while the “Wolverine” spin-off films haven’t always been particularly successful, people have always enjoyed Jackman’s performances. With that in mind, let’s take a look ahead at five things we can expect from this fascinating spring project. The trailer for “Logan” projects a certain sense of serenity that’s lacking in the majority (if not the entirety) of the superhero film genre. The inclusion of the cover of Nine Inch Nails’ “Hurt” by Johnny Cash helps, as it plays throughout the preview and helps to establish a decidedly unorthodox vibe for the project. Nonetheless, it’s important to note that “Logan” has already received an “R” rating, following in the footsteps of “Deadpool.” That’s a fairly big deal for a superhero project, and in addition to implying some cursing and potentially some sexual content, it mostly seems to suggest a deeper level of violence for this final Wolverine movie. The “R” rating already links “Logan” and “Deadpool” to some degree, but if you pay much attention to discussions online you’ll notice an unusual amount of chatter about the lead characters being linked. In an article about the trailer reveal, Ryan Reynolds joked about appearing in “Logan,” and that would seem to indicate he won’t actually do so. But it doesn’t seem to be enough to satisfy X-Men fans looking for easter eggs. There’s a persistent belief that there will either be a Deadpool cameo or some kind of information pertaining to the “Deadpool” sequel. The spotlight will be on Hugh Jackman in “Logan,” and rightly so. More than most films, this is about a single actor and his last go in a role that’s defined his career. However, expect to be reading a lot about Dafne Keen when “Logan” comes out. The young, relatively unknown actress is playing Laura Kinney (a.k.a. X-23), an important character from the comics and possibly a means of maintaining a link to Wolverine in future “X-Men” projects, should 20th Century Fox wish to take that route. The X-Men characters have been at the core of a ton of video games over the years, but some may not realize that Wolverine specifically has also inspired plenty of titles. A collection of gaming details and information related to prominent casino sites reveals that some of these platforms actually host a “Wolverine” slot machine game that may have been one of the first such games to be based specifically on Jackman’s character. The game uses the actor’s image and others from the Wolverine films to spice up a slot reel and attract X-Men fans. Beyond that, there was also a console game based exclusively on “X-Men Origins: Wolverine,” and it was quite successful. Given all this, a final game based on “Logan” really wouldn’t be a surprise. Hugh Jackman is done as Wolverine according the studio and Jackman himself. But this is still the superhero genre, and there are still surprises at every turn. Whether or not Jackman is really done spreading his claws, we ought to expect “Logan” to end ambiguously, at least leaving the door open for some kind of return or crossover project. Superhero movies wouldn’t be superhero movies if they didn’t make us wonder. 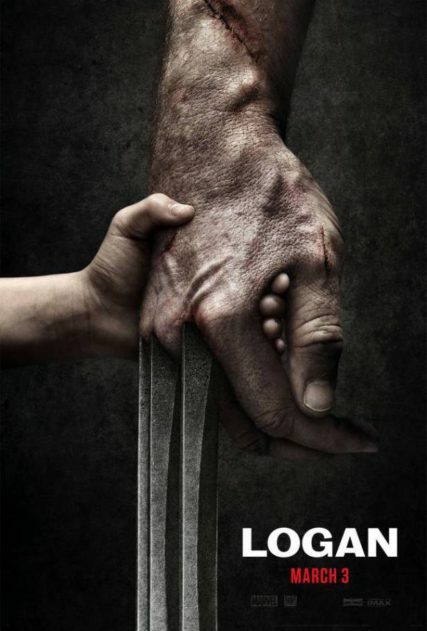 “Logan” is slated for release March 3rd, 2017.